The new diamond abrasive belts are suited especially for work with hardened steels (>55 HRC) and titanium alloys. Because of the hardness of the diamond abrasive grain, the new diamond abrasive belts achieve outstanding results with brittle-hard materials, glass, ceramic, tungsten carbide, chromium oxide and natural stone. The combination of the innovative grain technology as well as the belt joint technology and the very limited grain wear ensure a very long service life for the diamond abrasive belts. Because of the extreme hardness of the diamond crystals, very hard materials can be treated. 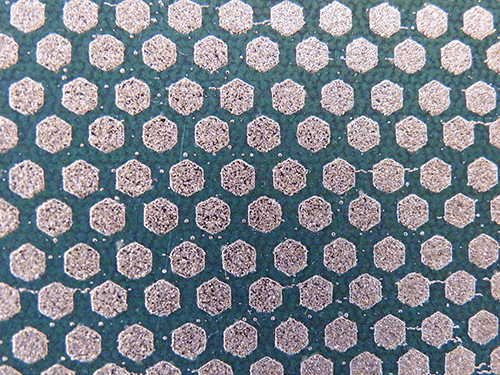 The wear and corrosion resistance of the diamond crystals ensures high machining capacity. 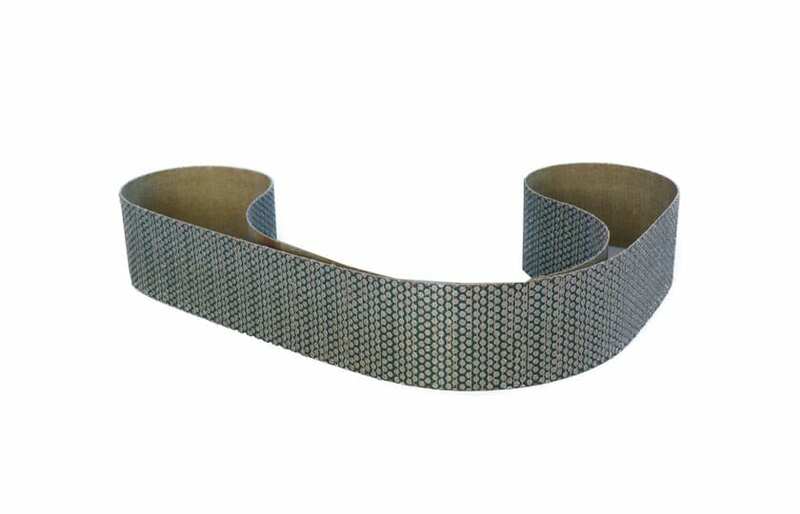 The diamond abrasive belts are suited for both, dry and wet grinding. The diamond abrasive belts have a special patented support material, called aramid fibres. Aramid fibres (also known under the brand name, Kevlar) are characterized by their high strength, a very high elongation and a high capacity to dampen vibrations. The support material is applied with a formfitting copper layer. 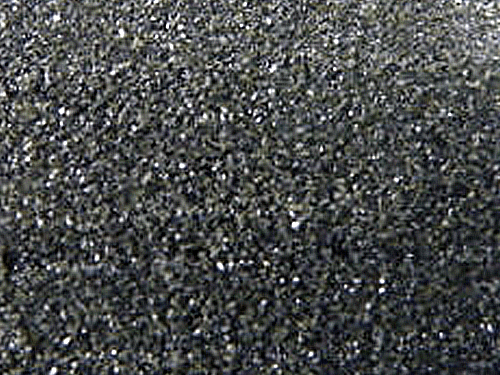 With a nickel base alloy, the diamond crystals are bonded to the abrasive belt galvanically, strewn in a regular intermittent pattern or with no spacing, covering the entire surface (see fig.s). The designation of the diamond grain size differs from the grain size according to FEPA. For a better allocation and selection of the correct grain size for the diamond abrasive belts, a grain size comparison is shown in the illustration below.